– Allied unit: 3rd (Canada) Inf. Div. 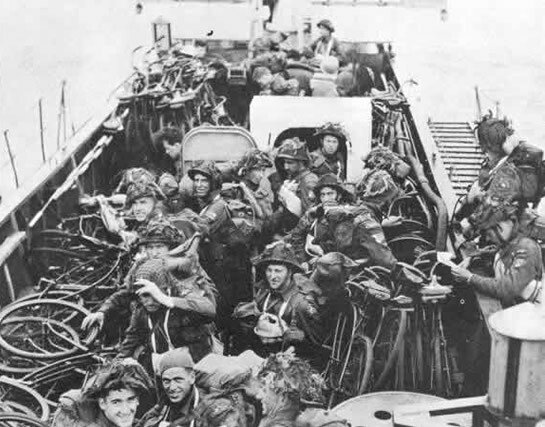 Juno Beach is one of the three invading areas of the Commonwealth forces: here Canadians are landing. The beaches of Juno are located 1.5 kilometers east of Gold Beach and are delineated between the towns of La Rivière, on the west and Saint-Aubin-sur-Mer on the east, of about 8 kilometers. Juno Beach has 3 main areas, from west to east: “Love”, “Mike” and “Nan”. 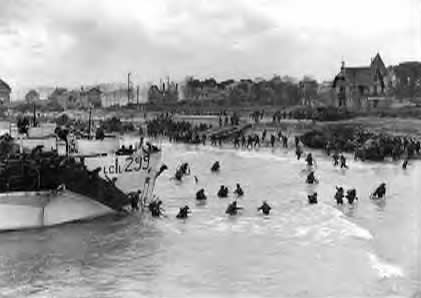 The first soldiers to land on this beach on June 6, 1944, belong to the 7th Brigade (consisting of the Royal Winnipeg Rifles and Regina Rifle regiments) and the 8th Brigade (consisting of the Queen Own Regiment and North Shore regiments Regiment). These men are under the command of the 3rd Canadian Infantry Division, itself under the authority of the 1st British Corps of Lieutenant General John Crocker. These units were supported by the British troops of Commando No. 48 Royal Marine landed west of Sword Beach, on the “Oboe” sector, opposite Saint-Aubin-sur-Mer. Juno Beach is defended by elements of the 736th regiment of the 716th German infantry division, the latter consisting of 29 companies and armed with 500 machine guns, 50 mortars and 90 guns of various calibres. The 5th company of the 736th regiment holds Bernières, the 6th company is located in Courseulles, the 7th company holds the sector “Mike” and the 9th is stationed in Saint-Aubin-sur-Mer and in front of the sector “Nan”. Two kilometers to the south, four other companies and tank company form a second line of defense. 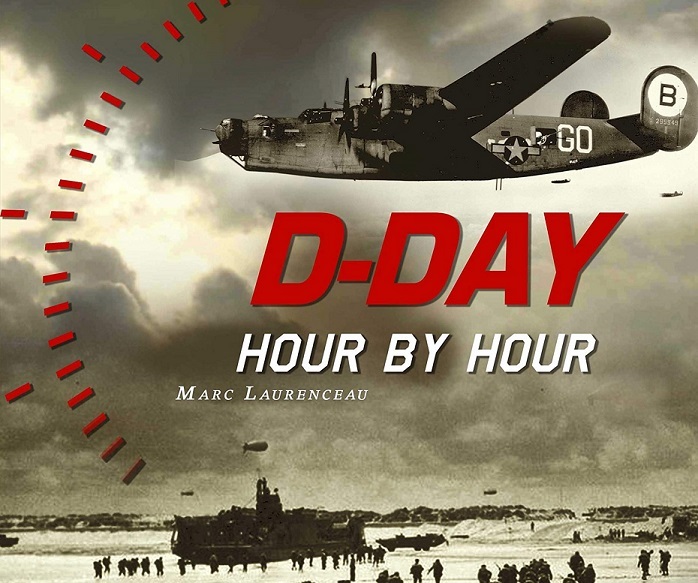 This assault is preceded, as on the other beaches of the invasion, by an aerial bombardment and then by a naval bombardment two hours before the landing, which is expected to begin at 7:35 am. 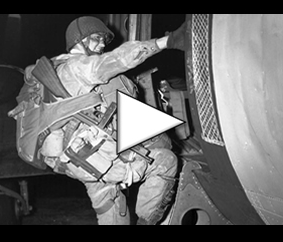 On Sword Beach, as on Gold and Juno, frogmen are responsible for opening several accesses to the beach 20 minutes prior to H-Hour by moving elements of the beach defenses in order to facilitate the navigation of the landing craft. In the early morning of 6 June 1944, the sea in front of the Juno sector is extremely rough. There are many underwater rocks ahead of Courseulles-sur-Mer, Bernières-sur-Mer and Saint-Aubin-sur-Mer and the size of the waves increases and as they approach the beach. Moreover, the storm raging in the English Channel has not yet stopped even if it is much less powerful than the previous day. 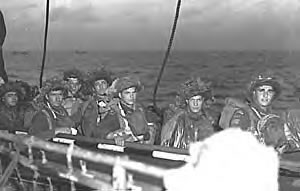 The attack, which must begin at 7:35 am, is delayed by the strong swell and lack of visibility which prevent the Allied sailors from maneuvering. 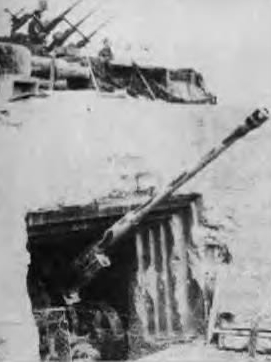 Many landing craft strike mined beach defenses that the sea covers. As for the amphibious tanks, the duplex drive, they are also submerged by waves passing over the floating skirt. The rocks in front of Juno Beach form a series of reefs extremely dangerous for navigation, and the sea, stormy, overwhelms them. The landing craft also come up against these rocks which tear the metallic cabin of the landing craft which flow at a spike. 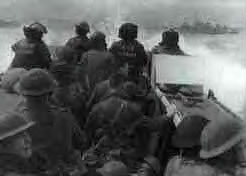 This bad weather is immediately synonymous with delay: the sappers, who are charged with opening and marking gaps through the forest of beach defenses, can not work optimally with such a sea: very quickly, they count near half an hour of delay and they can not make enough openings before the arrival of tanks and reinforcement assault boats. 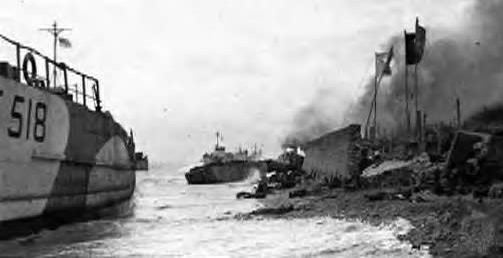 Despite the risks, ships carrying amphibious tanks (Landing Craft Tank, LCT), approach nearest to the beach in order to limit the losses. Thus, some tanks have to cross a distance of 600 meters, but the waves remain dangerous. That is why some LCTs directly land infantry support vehicles at the beach. This delay allows the Germans to reorganize temporarily and prepare for the defense of the beaches. 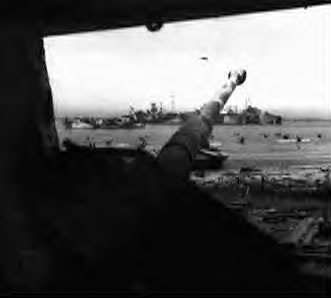 They are waiting for the landing craft to open fire: machine guns, mortars, anti-tank guns… Canadians are facing a formidable Atlantic wall like the Americans in Omaha. 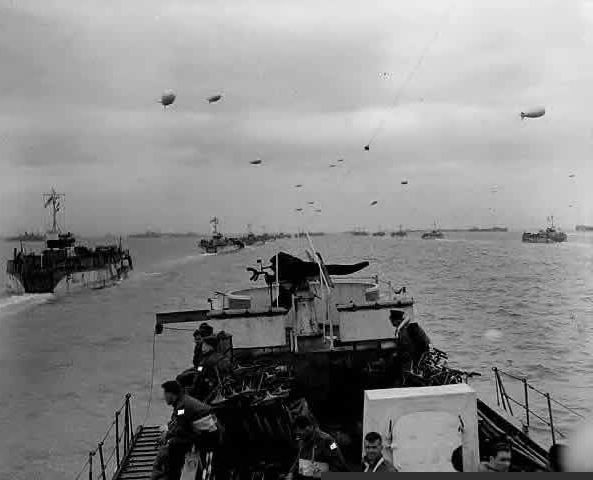 Of the 306 landing craft, 90 were destroyed before reaching Norman ground. The 7th and 8th brigades suffered heavy losses and a serious delay: 10 minutes for the 7th, 20 for the 8th. 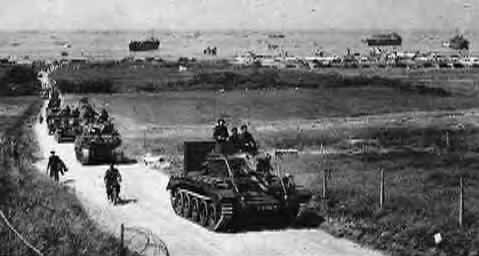 The infantry landed before the tanks and operated without support in front of Bernières-sur-Mer: the men of the Queen’s Own Regiment were greeted by heavy fires that shot down many soldiers on the beach. The assailants were blocked by a two-meter-high sea protection dike which the Germans took care to keep in their device, concealing in particular the numerous access roads connecting the strongpoints. Faced with this situation, without the support of the tanks, Canadians tried to overcome this obstacle for more than a quarter of an hour but without success: the arrival of amphibious armored vehicles changes the course of things. The latter destroy German defense points one by one and allow the men of the first waves to attack enemy positions inland and reinforcements to land. 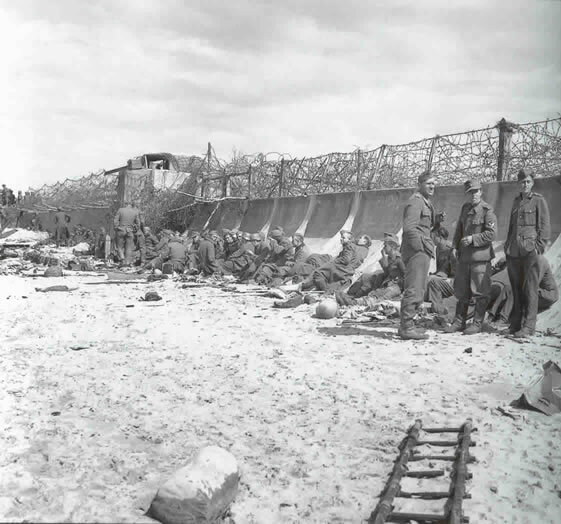 The beach testifies to the carnage that could have taken place there, if the tanks had not arrived in time: it is cluttered with hundreds of destroyed vehicles, shredded bodies, various equipment abandoned on the sand during the assault. The success on Juno Beach is mainly due to the presence of the special tanks that supported the Canadian infantry after their arrival. If all the initial objectives are not yet attained, the bridgehead is firmly installed in Normandy and the junction is made between the 3rd Canadian infantry division and the British soldiers of the 50th Infantry Division landed at Gold Beach. The bridgehead is then at this point about 19 kilometers wide. However, east of Juno, no real contact could be established with the British troops landed at Sword Beach and a corridor 3 to 6 kilometers wide separates the two bridgeheads. The Canadian forces have reached the villages of Anisy and Mathieu to the south, which are about 12 kilometers from the beach. One of the main objectives, the Carpiquet aerodrome, is still more than 5 kilometers away, as is the city of Caen. In the late afternoon, Canadian tanks controlled a portion of the Caen-Bayeux road, but due to the absence of the Allied infantry in the area, they were forced to retreat further north. 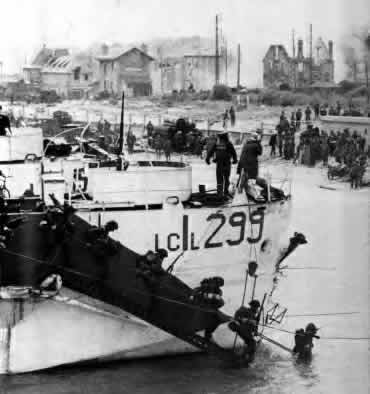 On June 6, 1944, at midnight, 3,200 vehicles landed on Juno, although 90 of the 306 landing craft were destroyed or damaged. The losses of the 3rd Canadian infantry division were very high: 340 soldiers were killed, 574 were wounded and 47 were taken prisoners. The Queen’s Own Rifles regiment was the most affected with 143 losses (128 for the Royal Winnipegs, 125 for the North Shore and 108 for the Regina Rifles). This is the heaviest loss report of the three invasion beaches dedicated to Commonwealth forces.